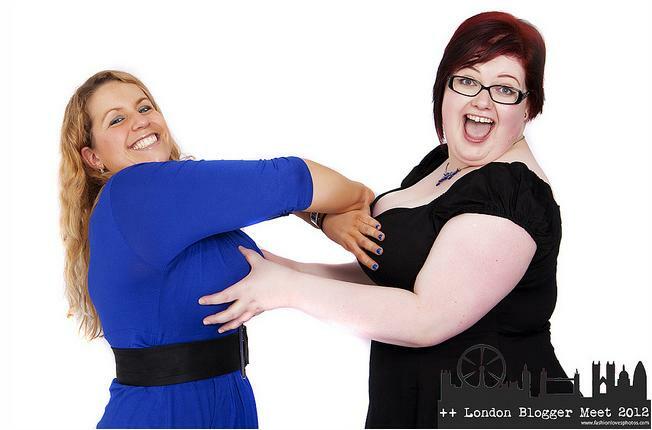 A few weeks ago, I was fortunate enough to attend an event in London for bloggers called Plus London Two. As the name suggests, this is the second such event, with the first being held last year before my blog had been born. I went along with my friends Mhairi and Kathryn who I had met up with earlier at Anna Scholz’s studio. Both ladies had to first of all take part in the fashion show so while they went to prepare I had time to talk to some of the other bloggers and sponsors at the event, including the always gorgeous Charlotte from Simply Be, Wendy who provided the cupcakes enjoyed by us all (one of which ended up being my lunch for the day (at 8.30pm!) – and very delicious it was too), and several others. I took heaps of photos of the fashion show but I know there was some controversy surrounding this part of the event so I am not going to include any on here. Needless to say, all the ladies involved took part with poise, dignity and professionalism, despite some very trying circumstances. After this point of the evening my silly camera ran out of battery so I could not take any more photos. Fortunately the evening was well covered by others, including Sarah Price, who was the official photographer for the event and I have used some of her pictures below. 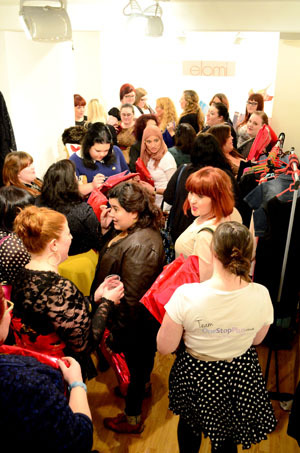 Lots of lovely bloggers + lots of lovely clothes = very happy ladies! 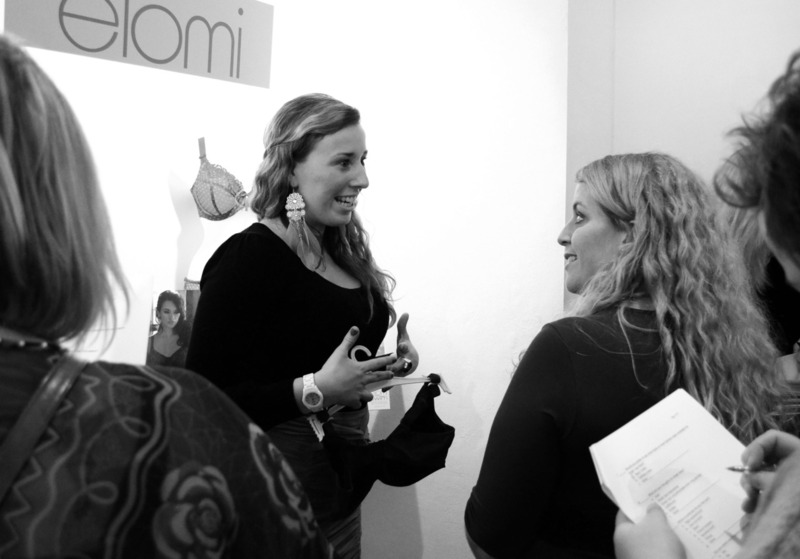 I also spent a little time talking to Katie about the different styles available from Elomi. All of the team were simply wonderful and made us feel special and valued. Thanks so much, ladies! After that, I happened upon the lovely people from Navabi. I had not heard of this company before so it was really great to chat to them and find out about the sorts of things they had on offer. 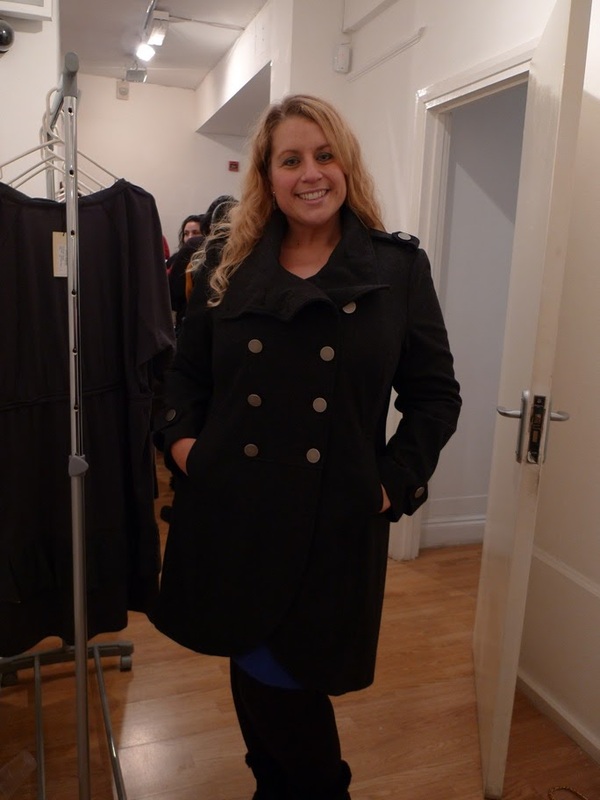 They had various items on display and I fell in love with this black coat even though it was at least a couple of sizes too big for me (although you can’t see this from the pic they took of me in it below). I really enjoyed looking through the racks of clothing from Red Bows Boutique and Simply Be and found several items that I loved but just about managed to resist making any purchases. Most unusual for me! It was great to have some time to speak with other bloggers, although before I knew it I had to make my escape through the snow to ensure I got to Victoria in plenty of time to get my train home. I wish I could have stayed longer! Thanks again to Claire and her team for organising such a fun and busy day/evening. Roll on Plus North, which is coming up in July! The Elomi Caitlyn is my favorite bra, but I find the sizing different from other Elomi. In Caitlyn I'm a 34H, in everything else I've tried in Elomi, a 34HH, which means if I really want something, I usually end up with it in a 36 H and pray the band doesnt stretch out too quickly! That's really interesting Erin; thanks so much for commenting. I was surprised to come up as a 34HH but have since heard that Elomi is quite a generous fit and many women take a smaller cup in this brand than others. I think I might have done better in a 32 or even 30 band but the Caitlyn is so pretty and comfortable I could not resist!